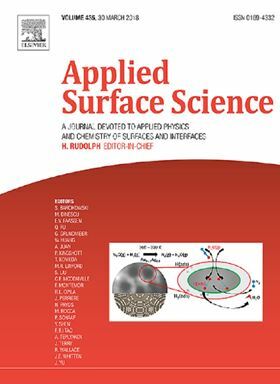 The research paper 'Thermodynamic performance of multi-stage gradational lead screw vacuum pump' has been published in Elsevier journal Applied Surface Science. As a kind of dry mechanical vacuum pump, the twin-screw vacuum pump has an outstanding pumping performance during operation, widely used in the semiconductor industry. Compared with the constant lead screw (CLS) vacuum pump, the gradational lead screw (GLS) vacuum pump is more popularly applied in recent years. Nevertheless, not many comparative studies on the thermodynamic performance of GLS vacuum pump can be found in the literature. Our study focuses on one type of GLS vacuum pump, the multi-stage gradational lead screw (MGLS) vacuum pump, gives a detailed description of its construction and illustrates it with the drawing. Based on the structural analysis, the thermodynamic procedure is divided into four distinctive processes, including sucking process, transferring (compressing) process, backlashing process and exhausting process. The internal mechanism of each process is qualitatively illustrated and the mathematical expressions of seven thermodynamic parameters are given under the ideal situation. The performance curves of MGLS vacuum pump are plotted by MATLAB software and compared with those of the CLS vacuum pump in the same case. The results can well explain why the MGLS vacuum pump has more favorable pumping performance than the CLS vacuum pump in saving energy, reducing noise and heat dissipation. External gear pumps are used in various industries to pump non-Newtonian viscoelastic fluids like plastics, paints and inks.